Watership Down is the classic animation that scared me to death as a kid but in a time when we were made of harder stuff, it’s one that most of us endured for better or worse. The BBC has had the bright idea to bring this classic back to life in a 2018 remake and whilst it was one of the most thought-provoking animations to date I’m sure it will be more family-friendly than the original. If you’re eager to watch the latest reincarnation of this rabbit spectacular but you’re outside the UK then ordinarily you would be blocked. It’s being shown on the BBC iPlayer which isn’t available when travelling abroad. However, you don’t need to miss out because there’s an app called a ‘VPN‘ that will allow you to tap into BBC iPlayer and watch from anywhere in the world. This will let you watch Watership Down wherever you are in the world. Below I’ll be showing you where to get the app and how to use it to watch Watership Down from abroad. The Watership Down remake is being shown on BBC iPlayer but if you try and visit outside the UK you’ll be blocked from watching. To bypass this block you’ll need to grab yourself a VPN app. This will allow you to pretend you’re in the UK avoiding the block that you would usually see. They are sold by hundreds of different companies but I recommend using ExpressVPN, IPVanish or CyberGhost VPN as they are three of the best. There are a load more choices too from the likes of NordVPN, VyprVPN, HideMyAss and PrivateInternetAccess but you don’t need to go searching through them all, just pick one of my three recommended providers from above. You might think that a VPN app sounds really difficult to use just by the name of the app but you would be wrong. 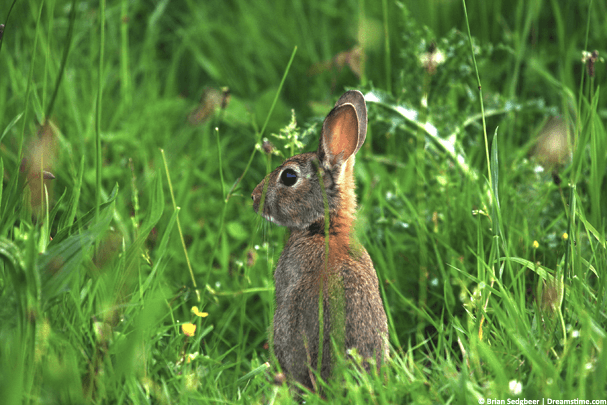 Within just a few clicks of your mouse or taps of your phone or tablet you can be connected and watching the new Watership Down remake within minutes. Just follow the steps below to get up and running. 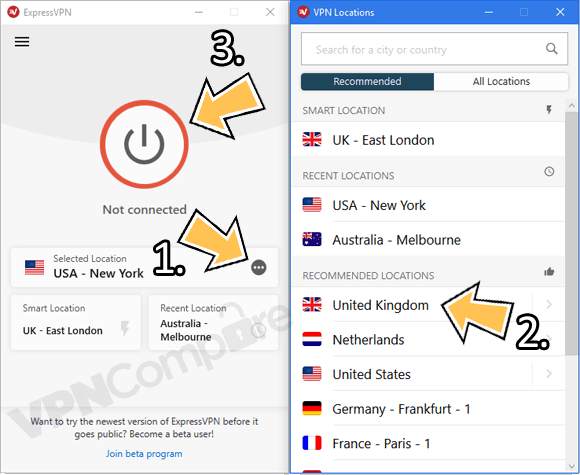 Sign up for one of the recommended providers above such as ExpressVPN. Download their app for your device. Open the app and activate it or login when required. Press ‘Choose Location‘ (1) and then ‘United Kingdom‘ (2). Watch Watership Down with ExpressVPN. It will take around 30 seconds or less for the ExpressVPN app to get connected. Once it’s connected all you need to do next is visit the BBC iPlayer website or open the BBC iPlayer app. You can now watch Watership Down either live when it’s shown in the UK or if you can’t make the live viewing then on catch-up for up to 30-days after it has aired. The BBC’s new remake of Watership Down will be shown on 22nd and 23rd December 2018. That’s a Saturday and Sunday. It’s been split into two episodes. They will both run for around 1 hour and 40 minutes making this an extra long Watership Down experience. As a now parent who was probably left disturbed by the classic Watership Down as a child, you’ll be pleased to know the remake has been greatly toned down on the violence front making it much more suitable for children today. The remake is like the original in animated format but features a cast of well-known voices throughout. Voices to listen out for include Bond Girl Gemma Arterton, X-Men’s Nicholas Hoult and James McAvoy and Olivia Colman of The Crown. Others include Peter Capaldi of Doctor Who fame and John Boyega from Star Wars. There are a whole host of other famous names voicing the characters making this remake of Watership Down a who’s who of celebrity. Watching Watership Down 2018 is easiest on a regular computer or laptop device because you’ll only need the VPN app. Once connected you can simply visit the BBC iPlayer website. However, if you’ve got little ones it’s usually easiest to hand them a phone or tablet to watch on and then they can watch in comfort while sprawled out on the sofa. If you bought your device in the UK then you should simply be able to visit your regular app store, search for ‘BBC iPlayer’ and install the app directly. If you’re not from the UK however then you’ll need to do something known as ‘side-load’ the app. This simply means to install it from outside the app store. To install BBC iPlayer on your iPhone or iPad you’ll need to follow this guide. If you’re outside the UK and want to watch the BBC’s 2018 Watership Down remake then you’ll need to get a VPN app. You should sign up for ExpressVPN and download their VPN app. Then connect to the UK. Once connected you can watch Watership Down 2018 abroad anywhere outside the UK. What country will you be watching Watership Down in? and if you’ve already watched it how did you feel it compared to the original? I would love to hear your thoughts so why not let me know in the comments section below.